This isn’t fake news. These are real customers and actual quotes we received from the follow up survey we send to people when our Support team closes out tickets. It wasn’t that long ago when I started at Bluecore where things weren’t as rosy. Back in April of 2016, I spoke to a number of customers and reviewed the feedback surveys – it was obvious we had a problem. While our Customer Success team was doing everything possible to make our customers successful and we have an amazing product, we were misfiring in terms of the service we were delivering. 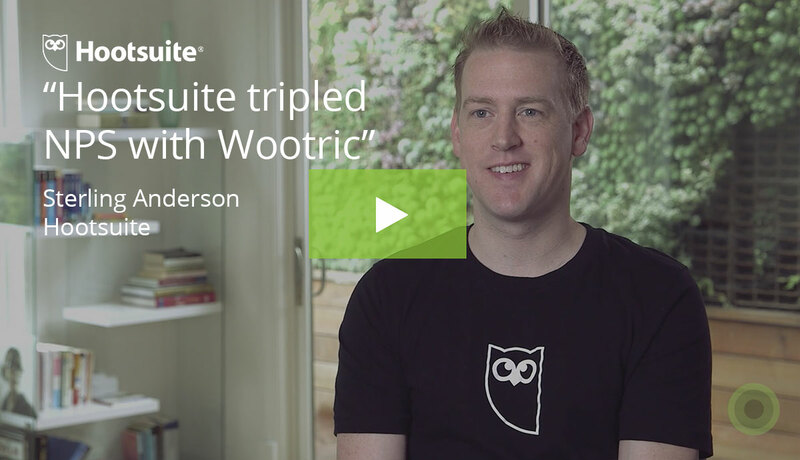 How did we change the game and achieve an average 98% customer satisfaction rating? It’s about the right people and the right structure. We needed to separate out Support from Customer Success Managers. Like any growing startup, we have limited resources. In our early stages we wanted to simplify the experience for our customers and have one person for them to speak to – sometimes called the single throat to choke. This meant that we would leverage our Customer Success Manager (CSM) for everything: technical questions, troubleshooting, best practices and project management. While this made things dead simple for our customers, the stress that our Customer Success Managers were under became unbearable. Our CSM team felt that they were always on call, had the weight of the customer’s full load on their shoulders, and needed to know everything about the product in order to be successful in their role. We knew our customers loved this model as they always knew who to reach out to but we also could see the toll this was taking on our team. Our team morale had plummeted and we were burning out. While that was horrible for me to see, the potential impact on the business was even scarier. It becomes impossible for your CSMs to provide reasonable response times to your customer’s critical issues. They have calls, they are traveling, they are preparing for meetings and they are responding to customers. How do you expect them to drop everything and address the time sensitive issues and questions that are flying at them? It prevents CSMs from being proactive as they are kept busy solving issues. Even if the CSM tries to be proactive by providing strategic advice, the customer’s view of the CSM is diminished if it’s the same person that is addressing their support tickets. It’s very difficult for the CSM to live in both worlds of discovering the business goals of their customer as well as solving their most basic product issues. People typically live in the path of least resistance and will not move beyond the reactive issues that their customer reports. In this scenario you’re going to see some of those scary metrics that will keep you up at night. First, you may start to receive some negative emails from your customers, your sales team and low customer satisfaction or NPS survey ratings. If you leave this too long you’ll start to see avoidable customer churn if CSMs aren’t concentrating on selling the value of your product. You can pass this off and make excuses but if you have your CSMs moonlighting as Support you’re bound to have these issues. It was clear to me that we had to change our approach and change it quickly. With the backing of my CEO, I decided to start a Support team. Within three months we hired our first Support Specialist and hired a few more after we proved out the concept. It was a no-brainer. I recruited smart, driven, customer centric team players that would address any issue that came that their way. If they couldn’t solve the problem themselves, they were tenacious at getting whatever help was needed. We measured our team on two main metrics: first response time and customer satisfaction. The impact was instantaneous. The quotes above started to roll in. Our Support team became the first responders. The ones that handled issues quickly, with the highest quality and empathy. Customers came first. They set the tone for the entire Customer Success department. 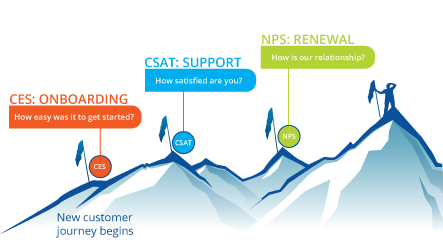 We quickly saw our customer satisfaction (CSAT) scores rise and had transformed ourselves to a more customer centric organization as we were able to specialize and focus our Customer Success teams on the right tasks. Support set the beat in our Customer Success band. 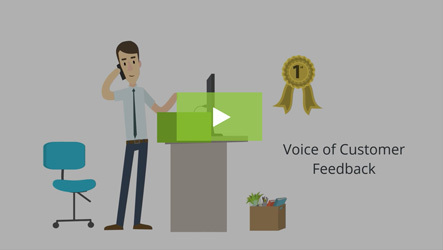 Regularly speak to your customers and collect customer feedback. Look for trends and themes within this feedback and move quickly to address issues. Never become complacent! 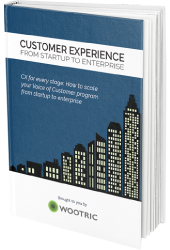 There are proactive and reactive components within Customer Success. It’s recommended that the Customer Success Manager and Support roles be split up to achieve this goal. Hire the right people for your roles. As your startup grows, look for specialists rather than generalists. We’ve since created even more specialization within our Customer Success department and have outlined specific goals to tackle new problems that have emerged. We are always trying to raise the bar and provide a better experience for our customers. We can’t wait for what’s to come next. 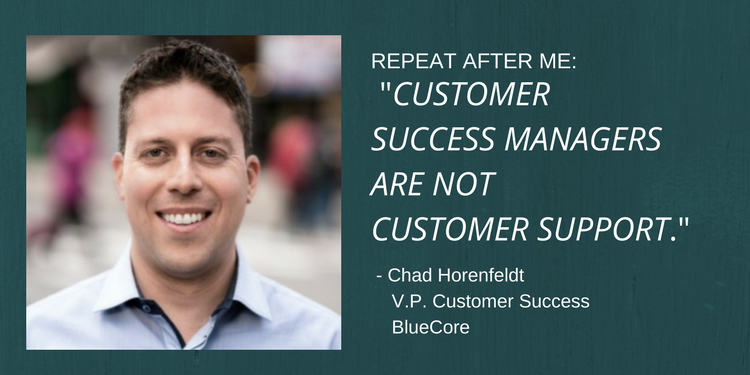 Chad Horenfeldt is Vice President of Customer Success at BlueCore. BlueCore empowers retail marketers to make decisions in the moment and reach highly targeted audiences across all channels. Improve customer experience. 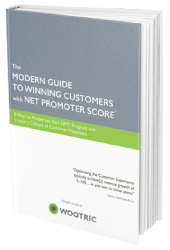 Sign up today for free Net Promoter Score or Customer Satisfaction feedback with Wootric.